As we are finally thawing out after the crazy polar vortex that prolonged winter, flowers are beginning to bloom, birds are chirping morning songs, and the sun is visible again. This puts a pep in our step and we are ready to get the house in its cleanest shape to launch into spring and summer. That’s right its spring cleaning time. Though we are excited to get things done there is a piece of us that dreads spending long hours deep cleaning instead of enjoying better weather. 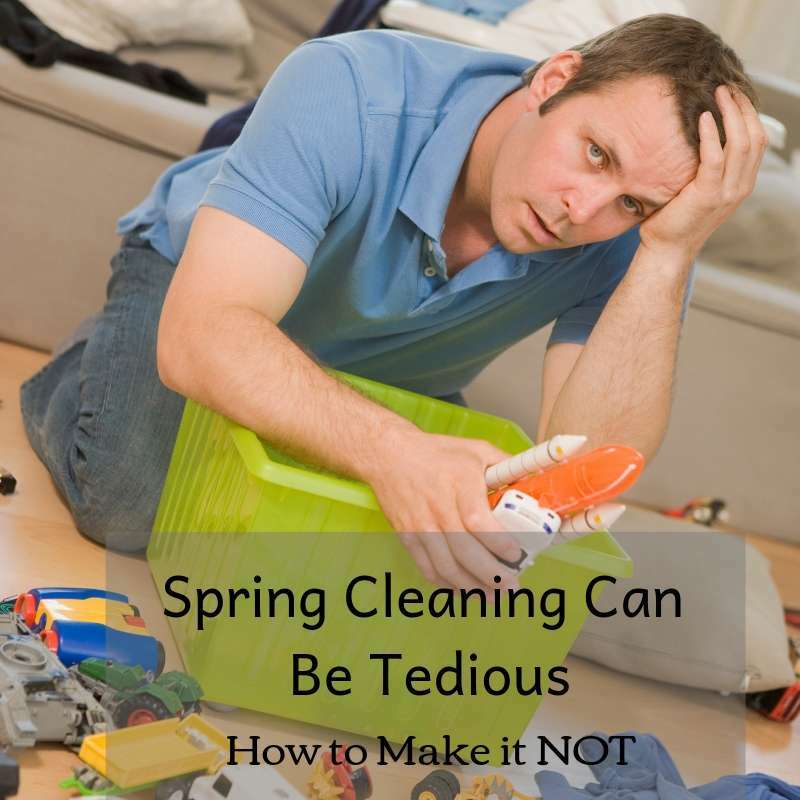 Follow these tips to make spring cleaning more enjoyable and a bit quicker too. Going room by room will help the job in front of you to seem much smaller. It is also an easy way to keep organized and formulate a faster checklist. Try to focus on items that have not been done in a while or ever over things that are routinely done. For example: cleaning behind and under furniture. Use your motivation to not only get your home clean, but streamlined. It feels good to have a clean home, but imagine how much better it will feel to have a streamlined and clean home. Sort your stuff into four categories- trash, give-away, put into storage, and put back into place. Use the room by room method here as well. Messes are created by everyone living in the home. It was a team effort that got the house in its current condition so make it a team effort to get it cleaned up. Many hands make light work. Even the smallest of helpers can perform a task or two to make the job go much quicker. Some chores only need to be done once a year, fight the urge to ignore them for a little bit longer. Once these things are done you will feel the utmost sense of accomplishment because everything really is spring clean. These are jobs like outside window cleaning, patio pressure washing, etc. Some yearly deep cleaning tasks can and should be done by a pro such as carpet cleaning, tile cleaning, upholstery cleaning, and hardwood cleaning. Take a large load off of the spring cleaning list by hiring a pro to deep clean these surfaces and get them their cleanest clean. You will be so glad you did. For deep cleaning in Mill Creek and surrounding areas make an appointment online or over the phone with All Kleen.